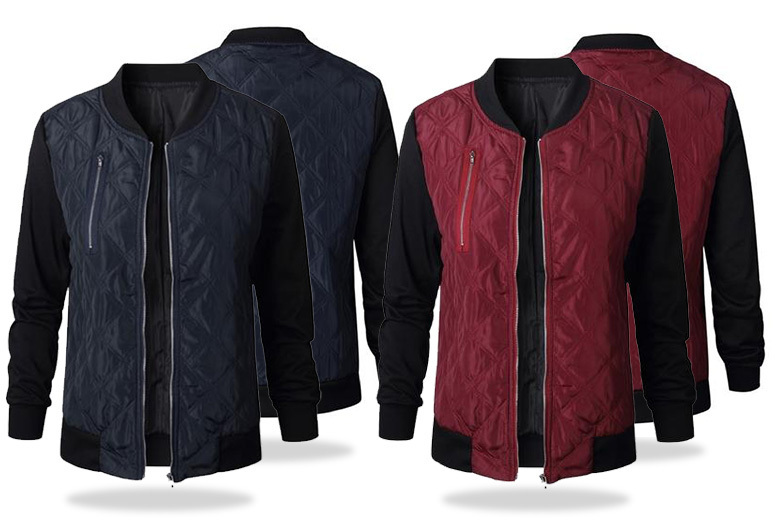 Get a brand new bomber jacket! Quilted body and long sleeve design. Ribbed hem, neck and sleeve cuffs. Available in navy or red! To fit UK sizes 8-18.